Not find what you were looking for? Email us and maybe we can help. Aren’t all the 924, 924S and 944 models essentially the same? The cars are based on the same layout, but there are vast differences between them. The early (76-82) 924 cars were built with Audi engines and transaxles, although the suspension and interior were basically the same, carried over to the 944. The 944 saw a major change in the middle of the 1985 model year, and those cars are referred to as “Series II” cars. The 924S was introduced to the U.S. market for 1987 and 1988 as an entry-level car with an MSRP of just under $20,000. The 944 went through several engine and transaxle changes with the 944 Turbo, 944S and 944S2. People ask about swapping this engine into that car, etc. With the abundant numbers of cars available out there, just buy the car/engine/transmission that you want. I have heard about a kit that puts an LS1 V8 in a 944…is this a good idea? Yes and no…the most popular kit is made by Renegade Hybrids. The kit is pretty complete, but you need to factor in the other upgrades that need to be done. You will need to do suspension upgrades and probably brake upgrades. The engines are available out there, but many like the option of a new engine. You will also need a Porsche 944 Turbo transaxle to go with it, to handle the extra power and torque. A stock LS1 makes something in the neighborhood of 300 HP, and only adds a few pounds to the car. You need to make a new exhaust system, reprogram the GM computer, etc. It is not a difficult swap, but also not for the faint of heart. There is no cutting or welding required unless you build your own exhaust system. The guys at Renegade are really helpful and have done a ton of these for many years. 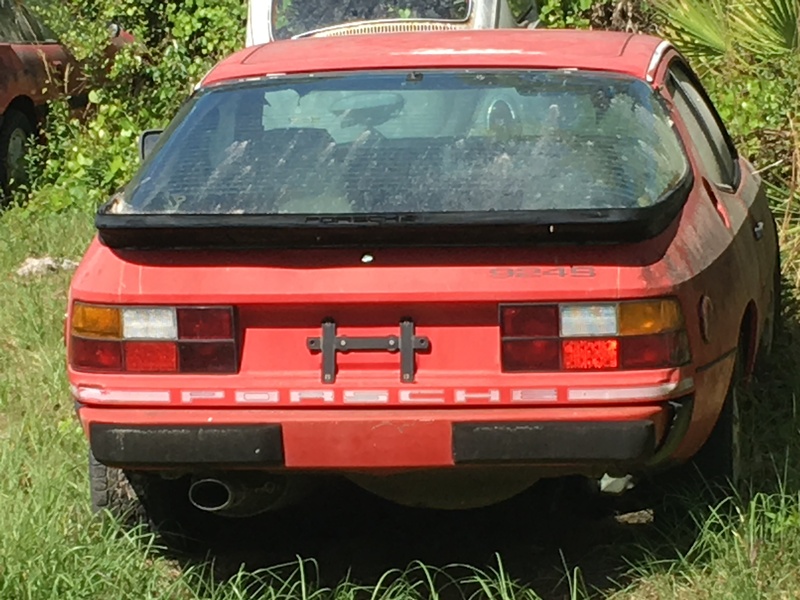 I have a ’79 924, and the transaxle looks different than any other 924 I have seen. Why? Did someone frankenstein a different gearbox into my car? For some reason, in 1979 Porsche decided to use their own gearbox instead of the Audi-sourced gearbox and labeled it the “G31” transaxle. It looks different because the “transmission” part of the box is in front of the “differential” part of the box. On the Audi boxes, it is reversed. These were not cost effective and had some other issues, and in 1980 they returned to the Audi-based “016” gearbox for the naturally aspirated cars. The G31 continued in the 931 turbocharged 924s until 1982.The Porsche “G31” box is a decent transmission, but it uses a different rear suspension/torsion tube than the other cars, since the transmission is actually mounted to the suspension rather than bolted to the bottom of the car. it also uses a two-bar shift mechanism, and parts for that shifter are pretty much unavailable. The torque tube (driveshaft) is different, too.I have converted one of these cars to the Audi transaxle, but you need a donor that has all this stuff. At least it is possible. Can I put a 944 engine in my early 924? Short answer – no. Followup question – why? If you want the 944 power, etc., then go find a good used one and buy it. The 944 drivetrain is different, as is the engine. They will not interchange. What is the difference between an “early” 944 and a “late” 944? There are many significant differences between the early car and the “Series II” car that made its debut in the middle of 1985. That is why you may see a reference to a “85.5” or an “85 and a half” 944 – that means that it is a “Series II” car. While the basic car is the same, the dashboard, electrics, and some suspension pieces are different and not easily interchangeable with other models. The early 944 shares a lot of its parts with the 87-88 924S, but the lowly 924S also benefited from some of the Series II improvements. My odometer stopped working. Why? The odometer in these cars is a weak spot, up until the Series II 944 in 1985. If you have a round speedo, then the odometer probably has not worked at one time or another. There are various reasons why, but suffice to say that the folks at VDO used some plastic pieces that didn’t age well, especially in hotter environments. You can get them rebuilt by several reputable shops around the country for a couple hundred or less. Check it out at google.com. Can I turbocharge or supercharge my N.A.? You can put forced induction on any N.A. engine, but the engineering is probably prohibitive for most applications and backyard mechanics. If you want a 944 Turbo, find one and concentrate your efforts on it. When you put forced induction on an engine, the base compression ratio is raised – more stuff is put into the cylinder, which makes more power. When you boost an NA engine, the base compression ratio is up around 10:1 already…the 944 turbo is about 8:1. So you cannot use very much boost without making all kinds of other changes to the engine. Remember that these 944 Turbos are around thirty years old by now, and finding a perfect one is going to be difficult and expensive. Hoses and other flexible items under the hood are suspect, and replacement can be expensive…word of warning! What about the 1.8 VW/Audi Turbo swap that I’ve been hearing about? There has been a lot of chatter lately about putting four-cylinder and five cylinder Audi and VW engines in the 944 chassis. While it is feasible and there are a few who have done it, there are currently no “complete kits” available with all the custom and modified bits that you need to do this kind of swap. There is a company in Georgia who will do the swap for you – Motor Werks Racing – and they have some of the components needed for a 1.8T swap. Suffice to say that unless you have lots of driveline fabrication experience and the right kind of shop, this swap is probably out of the reach of the normal garage wrench. Look for an article soon on these unique swaps. Why do I need a Limited Slip Diff in my 924/944/924S? Some of our cars were built with transaxles that have LSD – Limited Slip Differential, and it seems that more than a few have asked about whether they need one or not. It is a great performance add-on, but one has to question the value of it versus the cost. Simply put, a traditional “open diff” puts the power to the wheel with the least amount of resistance – you know that from being stuck in the mud or sand with one wheel spinning uselessly and the other on seemingly hard ground. With an LSD, the power is directed equally to both wheels, meaning you can possibly drive out of that mud or sand. If you live in an area where there is snow and ice, LSD is a great thing to have to direct power to both wheels. Racers and autocrossers like it because it provides added grip out of the turns. If these situations describe you, then you may consider it. If not, it may not be worth the trouble, work and expense.